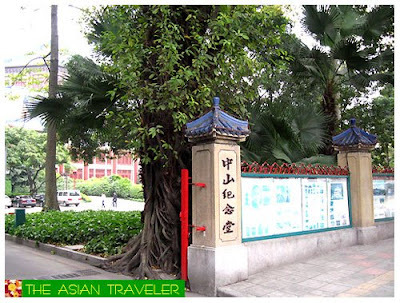 The Memorial Hall was built with the donations of oversea Chinese, and the citizens of Guangzhou City. 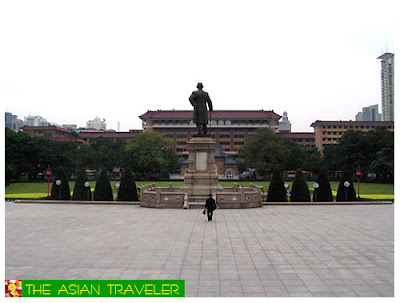 It was constructed in memory of Sun Yat-sen, often referred to as the Father of Modern China, the great revolutionary forerunner who played the key role in overthrowing the Qing Dynasty. 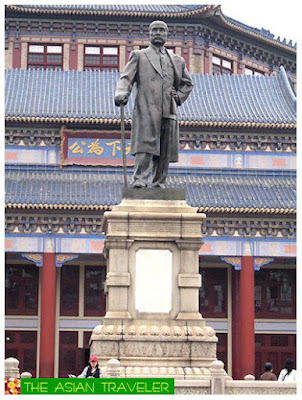 He was the co-founder of the Kuomintang and the first provisional president when the Republic of China was founded in 1912. 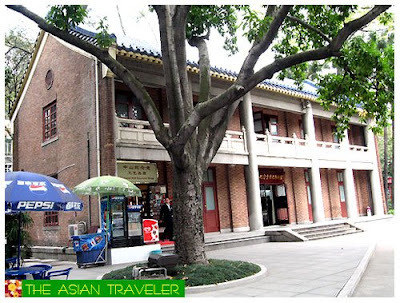 The building complex is composed of the arch over the gateway, exhibition / museum hall along with records of Sun Yat-sen's political carrer, souvenir shop, the park, the auditorium, and the several - storied buildings to the east and west. 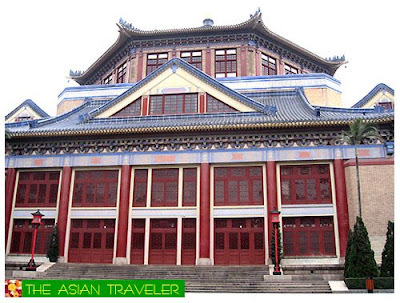 The Main Building of Dr. Sun Yat-sen Memorial Hall is of typical Chinese architectural style and octagonal in shape. It is made of steel frame mixed with reinforced concrete framework and covers 12,000 square meters out of the total 6.2 hectares of the whole complex. 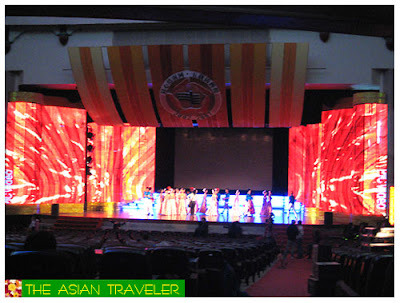 There are 4700 seats in the spacious auditorium, with is beamless and produces no echo. 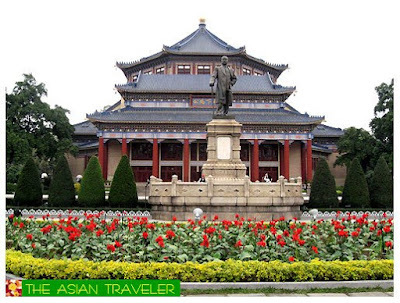 Across the hall, is Dr. Sun Yat-sen's 5 meter (3 foot) high bronze statue and a beautiful sprawling garden filled with lush greenery, brilliant and vibrant flowers. 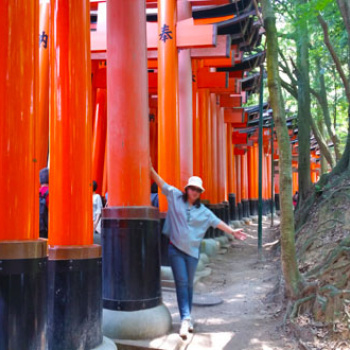 Now the place has become a tourist attraction to visitors from home and abroad. It is also one of Guangzhou's main venues for great convention and entertainment performances like ballet, symphony, acrobatics and magic. 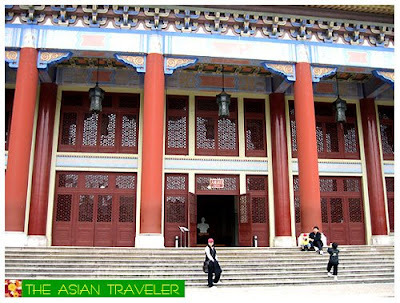 Price is 10 Yuan including the visit of the main building and exhibition hall, and 5 Yuan for visit of the park only. 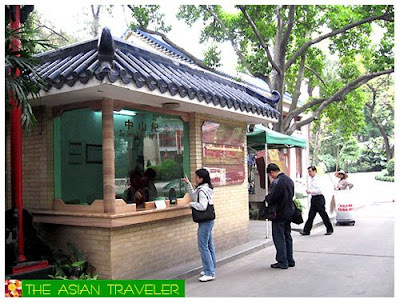 Unfortunately, we were not able to visit other sites of historic interest and scenic spot in Guangzhou, such as the Southern Yue Tom Museum and tombs of ancient Moslem sages, Baiyun (White Cloud) Hills, Nankun Hill, Lianhua (Lotus) Hill and Feixia (Flying Clouds) Hill.